We are an independent specialist in utility infrastructure solutions and can provide a one-stop solution for the provision of new electricity, water, gas and telecoms connections for civil infrastructure and developments projects. 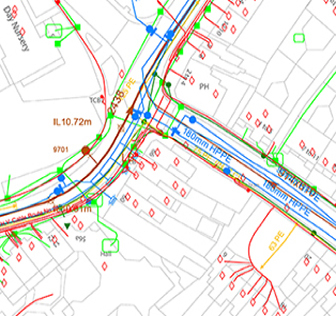 Our services extend to existing utility assets that could potentially affect your projects from reviewing utility asset maps to procurement of diversions, providing CAD drawing services, help track progress of your utility installation and offer support to your site staff. We can even arrange disconnection of existing services and meters to procuring your gas and electric commercial meters and supply contracts.